Καλοτοποθετημένο στη ψώνια, οικογενειακή διασκέδαση, εστιατόρια περιοχή της Bandung πόλης, το Aryaduta Bandung είναι το κατάλληλο μέρος για να χαλαρώσετε από τις πολυάσχολες μέρες σας. Μόνο 9km μακριά, αυτό το 5 αστέρων ξενοδοχείο είναι εύκολα προσβάσιμο από το αεροδρόμιο. Από τη βολική της τοποθεσία, η ιδιοκτησία προσφέρει εύκολη πρόσβαση σε κορυφαίους προορισμούς της πόλης. Το Aryaduta Bandung προσφέρει επίσης πολλές εγκαταστάσεις για να εμπλουτίσετε την διαμονή σας στη Bandung. Μια επιλογή από εξαιρετικές ανέσεις όπως τα 24ωρη υπηρεσία δωματίου, δωρεάν WiFi σε όλα τα δωμάτια, 24ωρη φύλαξη, ημερήσιος καθαρισμός, υπηρεσία ταξί σας περιμένουν στο ξενοδοχείο. Ελάτε σε ένα από τα 254 φιλόξενα δωμάτια και ξεφύγετε από τα άγχη της ημέρας με μια ευρεία γκάμα ανέσεων, όπως επίπεδη τηλεόραση, τηλέφωνο μπάνιου, κρεμάστρα ρούχων, δωρεάν τσάι, καθρέφτης, που θα βρείτε σε ορισμένα από αυτά. Είτε είσαστε λάτρης της γυμναστικής είτε ψάχνετε έναν τρόπο να ηρεμήσετε μετά από μια δύσκολη μέρα, θα σας ψυχαγωγήσουν καταπληκτικές δραστηριότητες όπως οι γυμναστήριο, εξωτερική πισίνα, μασάζ, παιδική χαρά, παιδότοπος. Όποιος κι αν είναι ο σκοπός της επίσκεψης σας στη Bandung, το Aryaduta Bandung είναι μια εξαιρετική επιλογή για μια χαρούμενη και συναρπαστική απόδραση. Good hotel, close to everywhere, the food is good, big rooms, what needs to be a concern of this hotel is the parking lot problem, after all it's a great hotel. I born and raised in this town, it was amazing and pleasant experience to be back and invited my parents, one of my niece to stay in Aryaduta. Hotel staff very friendly and helpful, front desk Mr. Agung he my favorite, he always make sure me and my parents have what we need. the lady at the bar she so nice and friendly.. all housekeeping, security everyone were so nice and friendly. hotel location right by the busy bandung spot, you can get easily the food and shoping centre. perfect to relax and do some short walking. breakfast have a huge selection and all the food its delicious. overall i love love this hotel and enjoy our stay, definitely will be back next year !!! Dear Rodney, Warmest greetings from Aryaduta Bandung. Thank you for spending your time in sharing your experience staying with us on Agoda. It gives us great pleasure to know that you were pleased with our facilities and services and that your stay was an enjoyable one. Aryaduta Hotels Group and all of us at Aryaduta Bandung take pride in providing our guests with the highest standards of hospitality. We look forward to hearing our guests' comments in order that we may find ways to better improve our offerings to exceed their expectations. My team and I look forward to welcoming you back or having your family and friends come for a stay. Yours truly, Aryaduta Bandung. Former Hyatt hotel. Rooms are spacious though a bit dated. No central lighting, however, uses multiple lamps across the room. Hotel breakfast has a nice spread of Indonesian and Western cuisine. Location is good considering a few outlets within walking distance; and only 10-15mins max away from train station and airport. Dear Aidil, warm greetings from Aryaduta Bandung. Thank you for spending your time in sharing your experience staying with us on Agoda. It gives us great pleasure to know that you were pleased with our facilities and services and that your stay was an enjoyable one. 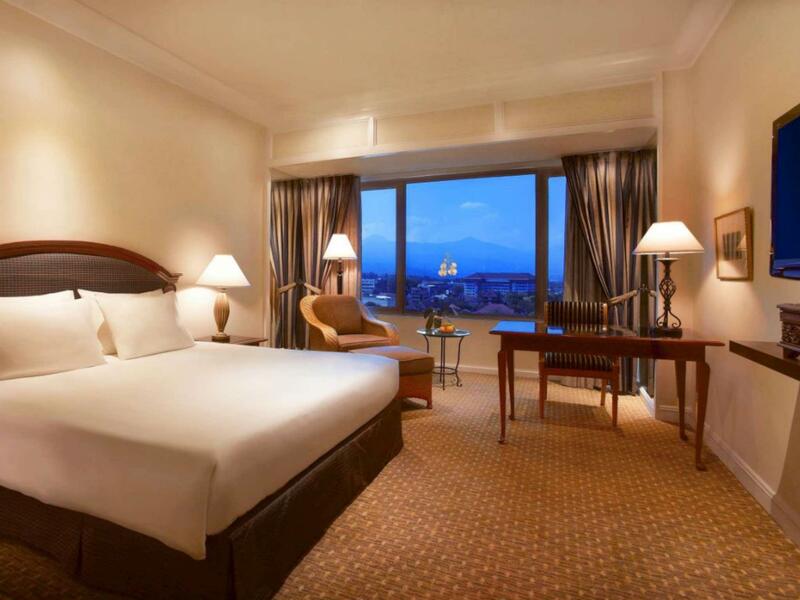 Aryaduta Hotels Group and all of us at Aryaduta Bandung take pride in providing our guests with the highest standards of hospitality. We look forward to hearing our guests' comments in order that we may find ways to better improve our offerings to exceed their expectations. My team and I look forward to welcoming you back or having your family and friends come for a stay. Yours truly, Aryaduta Bandung. Spend three nights here under two different bookings. Room is okay. It's an old hotel, due for major upgrade to match with other new hotels nearby. Location is perfect, cannot ask for more. Breakfast is a lot less than adequate. Food selection is not many. During three breakfast, we are getting bored. Nothing to write home here. Since we stayed during holiday, occupancy is a bit high. Fortunately we come down to breakfast quite early at 7 AM. By the time we finished at 8-ish, the place is packed. And there is a long queue for entering the restaurant. Dirty tables are not quickly cleaned. The whole restaurant atmosphere then quickly become unpleasant. I might be expecting too much for a 4 star hotels. I have been staying in 4 anf 5 star hotels in ASEAN region (about once or twice a month, averagely); this hotel is below par compared to competition with same price range. It's an old hotel and quite well-kept. However, maybe you should upgrade the toilets and elevators. Anyway, it's really a nice hotel with friendly and helpful staffs. The location is excellent and very easy to find by Grab. Dear Irene, warm greetings from Aryaduta Bandung. Thank you for spending your time in sharing your experience staying with us on Agoda. It gives us great pleasure to know that you were pleased with our facilities and services and that your stay was an enjoyable one. Aryaduta Hotels Group and all of us at Aryaduta Bandung take pride in providing our guests with the highest standards of hospitality. We look forward to hearing our guests' comments in order that we may find ways to better improve our offerings to exceed their expectations. My team and I look forward to welcoming you back or having your family and friends come for a stay. Yours truly, Aryaduta Bandung. Unfriendly service staff during breakfast, not as a single incident but each of the four days of my stay. Seems the preferably serve people looking rich n even rearrange the qeueing for breakfast according to whom they think should be seated first (rich), independent from where u stand in the qeue. Won’t go there again. Dear novi, warm greetings from Aryaduta Bandung. Thank you for spending your time in sharing your experience staying with us on Agoda. It gives us great pleasure to know that you were pleased with our facilities and services and that your stay was an enjoyable one. Aryaduta Hotels Group and all of us at Aryaduta Bandung take pride in providing our guests with the highest standards of hospitality. We look forward to hearing our guests' comments in order that we may find ways to better improve our offerings to exceed their expectations. My team and I look forward to welcoming you back or having your family and friends come for a stay. Yours truly, Aryaduta Bandung. Despite going during school holiday season and hotels fully booked, there is very little noise around the hotel. The staff were amazing and more than helpful in accommodating our needs. The executive club is the best. Aryaduta Bandung is quite old, from last time I stayed there about over a year ago, now it feels like being modernised a little bit. Nice pool area, prettier than before. 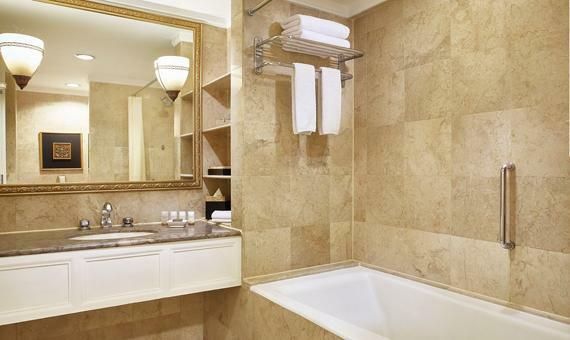 Kiddos love the bath tub in the bathroom, which very rare to find in most hotels now. Dear Zainudin, Warmest greetings from Aryaduta Bandung! Thank you for spending your time in sharing your experience staying with us on Agoda. It gives us great pleasure to know that you were pleased with our facilities and services and that your stay was an enjoyable one. Aryaduta Hotels Group and all of us at Aryaduta Bandung take pride in providing our guests with the highest standards of hospitality. We look forward to hearing our guests' comments in order that we may find ways to better improve our offerings to exceed their expectations. My team and I look forward to welcoming you back or having your family and friends come for a stay. Yours truly, Aryaduta Bandung. The location in this hotel near to anywhere, friendly staff, nice food, all of them is great. Dear Yani, Warmest greetings from Aryaduta Bandung. Thank you for spending your time in sharing your experience staying with us on Agoda. It gives us great pleasure to know that you were pleased with our facilities and services and that your stay was an enjoyable one. Aryaduta Hotels Group and all of us at Aryaduta Bandung take pride in providing our guests with the highest standards of hospitality. We look forward to hearing our guests' comments in order that we may find ways to better improve our offerings to exceed their expectations. My team and I look forward to welcoming you back or having your family and friends come for a stay. Yours truly, Aryaduta Bandung. Dear Sera, Warmest greetings from Aryaduta Bandung! Thank you for spending your time in sharing your experience staying with us on Agoda. It gives us great pleasure to know that you were pleased with our facilities and services and that your stay was an enjoyable one. 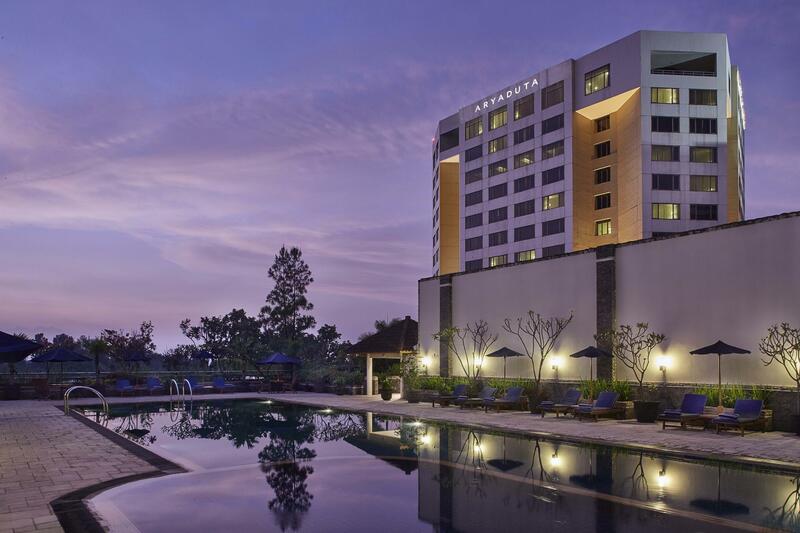 Aryaduta Hotels Group and all of us at Aryaduta Bandung take pride in providing our guests with the highest standards of hospitality. We look forward to hearing our guests' comments in order that we may find ways to better improve our offerings to exceed their expectations. My team and I look forward to welcoming you back or having your family and friends come for a stay. Yours truly, Aryaduta Bandung. The room is very spacious, the bathroom is great and clean, which I like it. However, the towels are very old,. They do not just look very old and thin but they also look dirty as the colour are not white anymore. It would be perfect if the hotel invests some more money to provide guests with good quality and clean towels. Σιδηροδρομικός Σταθμός Bandung στα 1.2 χλμ.